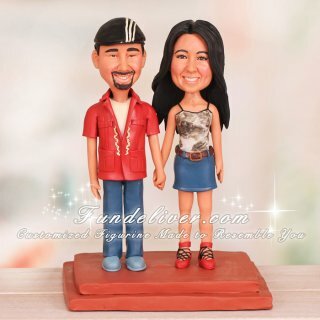 This is a completely customized Broadway geek wedding cake topper ordered by one of our customers. The bride and groom are huge Broadway geeks and are currently planning a wedding with Broadway inspired touches. 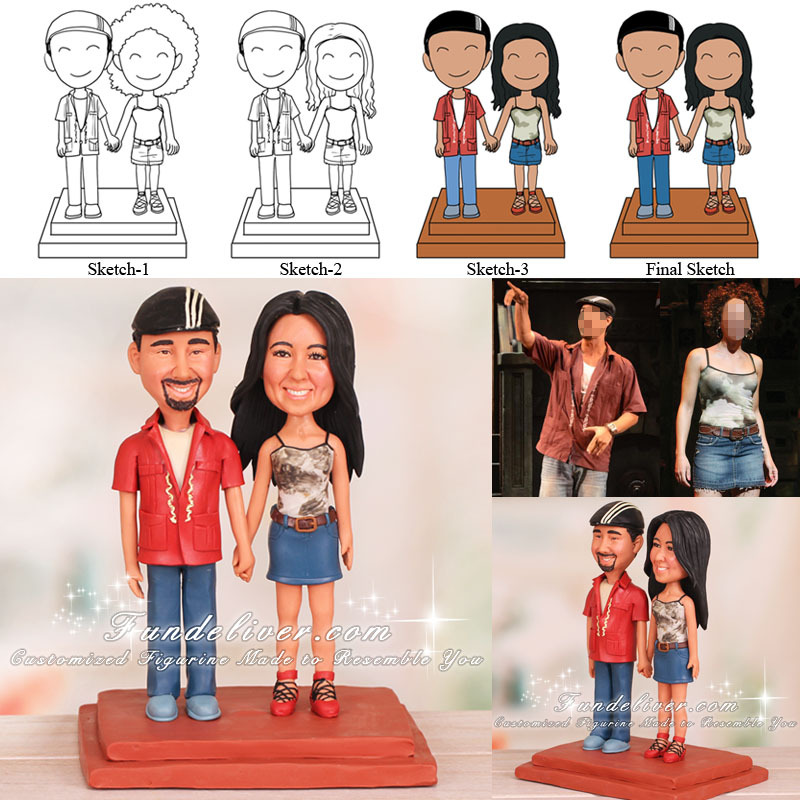 The bride would like to surprise the groom with a personalized cake topper of them in the costumes of their favorite characters Usnavi and Vanessa from the show, "In the Heights”. This Broadway theme cake topper would be a perfect, personal touch to their wedding day.